Wordplay with zip for the energetic preschooler. What would happen if your shoes shook you? If they pulled you to the park and they zoomed you to the zoo? Find out in this unconventionally active celebration of feet in motion by a much-loved children's poet. Loris Lesynski definitely knows how to get kids clapping their hands and stomping their feet. 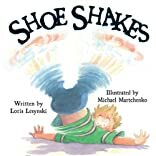 In Shoe Shakes, a collection of 10 new poems, she set her sights on preschoolers who get a kick out of wacky sounds and off-the-wall ideas. Rhythm lovers will hit the ground running with the join-in beat of "The Boot Boot Bounce." Kids will giggle at the idea of "Snowshoes" that are made from snow, and will pause to ponder "Feet Thoughts." 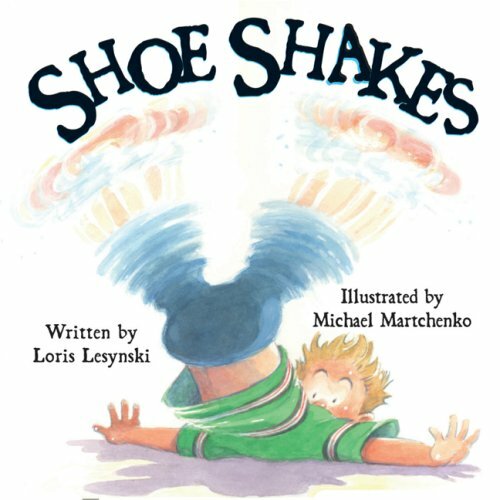 Complete with uproarious illustrations by Michael Martchenko and surprises on every page, Shoe Shakes is guaranteed to set toes a-tappin' and funny bones a-laughin'.